1. Production of high quality artesan paper from our AQUARI brand for the fine arts and graphic design. 2. Raising awareness of the profession via activities for schools and other parties interested in the world of paper or in the traditional manufacturing industries of our region. 3. Training in the paper making profession of people with disabilities, in collaboration with COiET and other specialised centres in the province of Girona. The copper forge (La Farga) / Escatllar paper mill (Banyoles) was built in 1685 by Comú de la Vila. It is one of the best examples of a Catalan forge in the country. It is situated on the Rec Major, one of five irrigation channels which begin at the lake of Banyoles and run all accross the town. It is believed that initially the forge worked with iron but soon gave way to copper. At the end of the 19th century the building was extended to accomodate the Escatller family's paper mill. This is the structure we still see today.The two industries co-existed until the mid 20th century. Since its closure until the year 1977, when the first steps were taken to conserve one of the only two complete forges left in Catalunya (the other being in Ripoll), the building was put to different uses, none of which resembled its original purpose. This accelerated its state of disrepair. Luckily, however, its principle elements have been conserved. The fact that it is situated along an irrigation path rather than on a river means that it has not been exposed to the devastating floods often suffered by this type of building, which can lead to irreperable dammage. The building consists of two different spaces and different levels. The forge workshop is situated in the semi basement where the entire original hammer remains conserved.The rest of the building is divided between the living quarters of the blacksmith and the upper floors, used by the paper mill for paper drying- in fact they are still used for that same purpose today. You can see the hydraulic system formed by the pool and the water wheel at the back of the building. The building has recently recomenced the manufacture of artesan paper and makes for an interesting visit. We invite you to visit a traditional working paper mill and experience first hand the beauty of artesan paper! 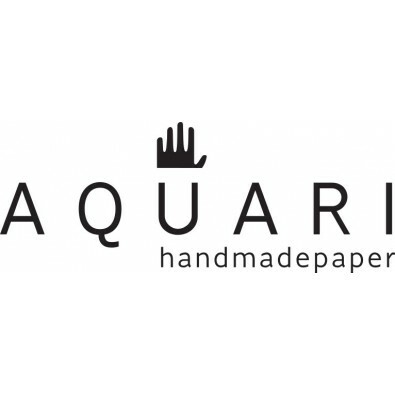 Sastres Paperers is a handmade paper craft company with more than 30 years of experience. We also organize activities to promote this artisan craft (schools, families, cultural tourism...) and we collaborate with several centers of people with other abilities because we want to share what we learn. Este sitio web utiliza cookies para recopilar información estadística sobre la navegación. Si continuas navegando, consideramos que aceptas su uso. Accept More info.